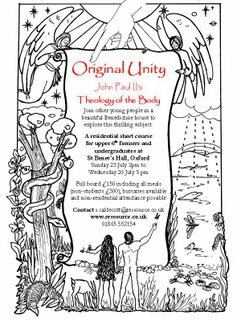 A Short Course on the Theology of the Body, to be taught by Jonathan Rowland in Oxford next month, 23-26 July (timed to coincide with the end of school term). Please write to Stratford Caldecott if you might be interested in attending this course. 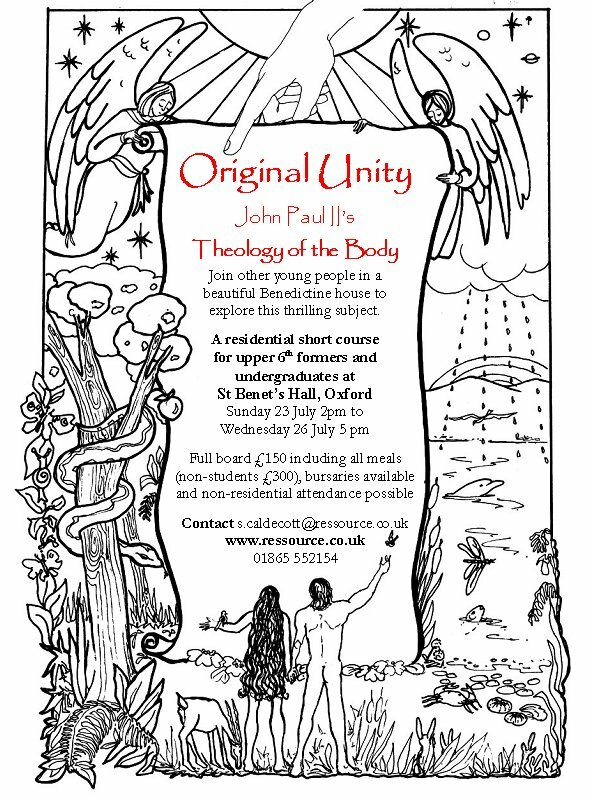 Click the image for a full-size copy of the flyer.